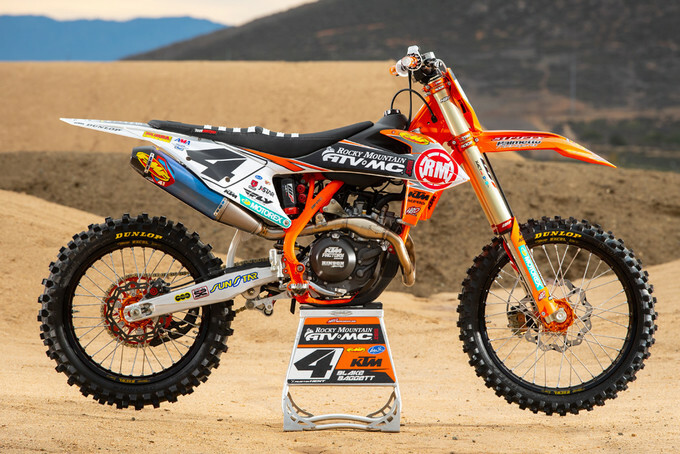 Payson, UT (Dec.18, 2018) – Team Rocky Mountain ATV/MC – KTM – WPS is proud to announce a new team partnership with HBD MotoGrafx. HBD MotoGrafx is a full-service design company developed to fit nearly every printing need a company or an individual can be in need of. HBD has been producing high quality graphics since 2007, and has since branched into a very unique “one stop print shop” for the entire motorcycle industry. 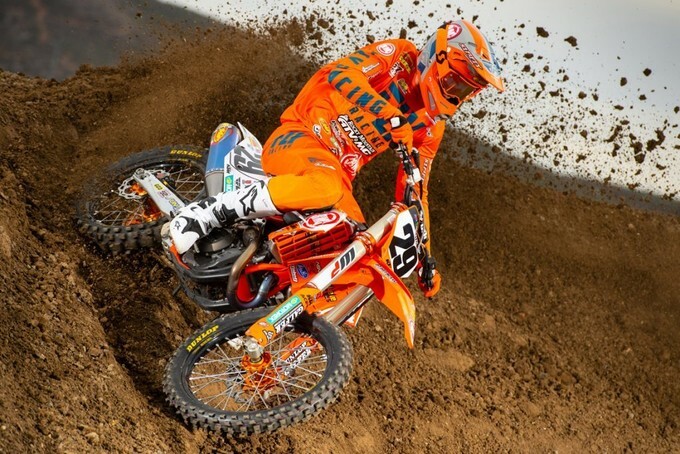 The partnership with team Rocky Mountain ATV/MC – KTM – WPS will mark the company’s entry into the highest level of racing, in the US Supercross and US Motocross series. “I couldn’t be happier with the relationship we have found with HBD. Never in the history of running our team, have we had the chance to work with one company that has the capabilities of handling so many of our team items. Bike graphics, Team graphics, Team pit shirts, Team pit jackets, Pop up displays, Table covers, Backdrops and so many more items it’s almost mind-boggling”,says team owner Forrest Butler. “I also must say this deal was brought together very late in the off-season, and sometimes with what we do that can be a bit nerve wracking. HBD has not only gone beyond my expectations, they seriously are a company that more than delivers. I can not wait to get to Anaheim to show all our industry partners, friends, co-workers and fans – just all what this company can do. It is amazing, and I couldn’t be more pleased to be part of it”. HBD MotoGrafx is based out of Daytona Beach, FL, in which the company began it’s fit nearly venture into the graphics market through off-road. Since 2007, the company has grown into one of the leaders of the off-road market with some need of heavy hitting teams and riders competing at the top of GNCC series, as well as extended their line up into high-quality items such as signs, banners, flags, pop up tents and even full vehicle wraps. With Butler Brothers Mx LLC, owner of the Rocky Mountain ATV/MC team, being full-service from Florida, and HBD being home grown from Florida as well – there couldn’t be a better grass roots feel to the partnership. Knowing that the industry is highly competitive, HBD prides themselves on competitive pricing and customer service. With deadlines always quickly approaching whether it be a rider and an upcoming race or series, or a company preparing for a trade show, HBD has the capabilities to make things happen in an extremely professional manner. They offer a full line of products, in which can be viewed by browsing the companies website at www.hbdmotografx.com . Team Rocky Mountain ATV/MC is proud to have HBD as a part of the family, and are eager to showcase all of the new team items on January 5th at Angel’s Stadium in Anaheim, CA.